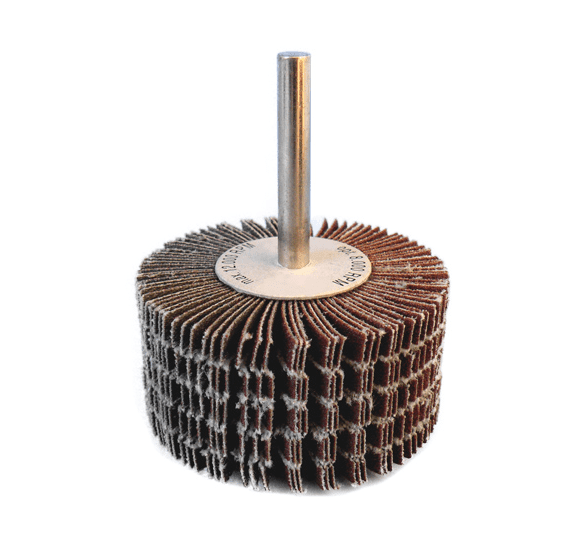 Fan grinders in the form of brushes consist of individual abrasive cloth flaps which are slotted at their periphery. The slit increases the flexibility of the flap discs and the flap discs adapt even better to the contour of the workpiece to be machined. 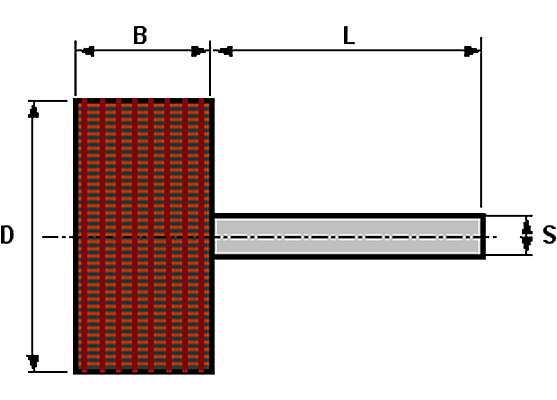 The slotted abrasive cloth flaps are fan-shaped around the axis of the tool. The fan grinder has a shank diameter of 6 mm and can easily be used on hand-held grinding or satin finishing machines. For cleaning nonwovens, the principle applies that they may only be used in conjunction with a shank.